Harvested by hand on October 3rd, 2014. Processed like a high mountain Oolong, without roast. 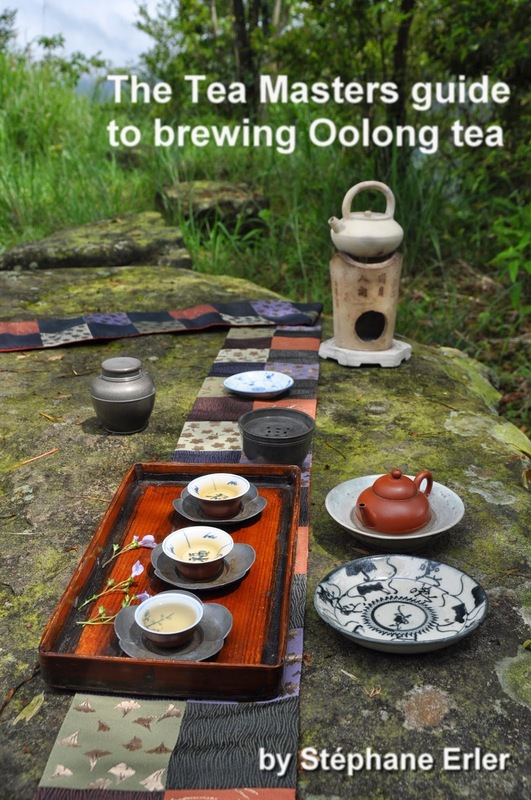 Taiwanese tea farmers continue to surprise us with their innovations. 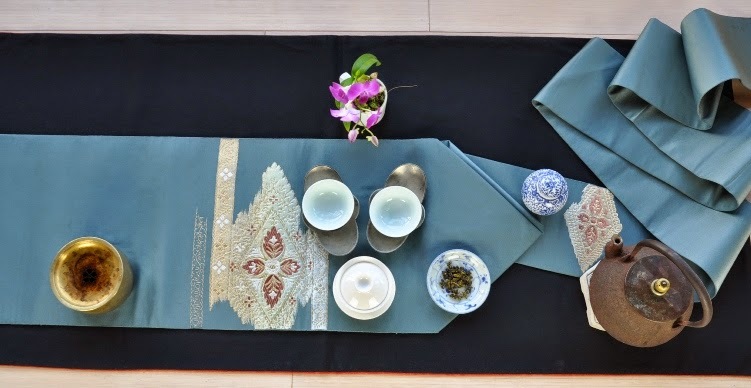 With these leaves, we experience the introduction of Tie Guan Yin (TGY) on a high mountain in Taiwan. Not all tea cultivars are well suited to survive the cold winters (where it can freeze). And at 1700 meters of elevation, we are approaching the 2000 meters mark where plants become rare. The farmer is taking a risk and has to spend extra time to help the trees adapt to this new climate. How did it turn out? 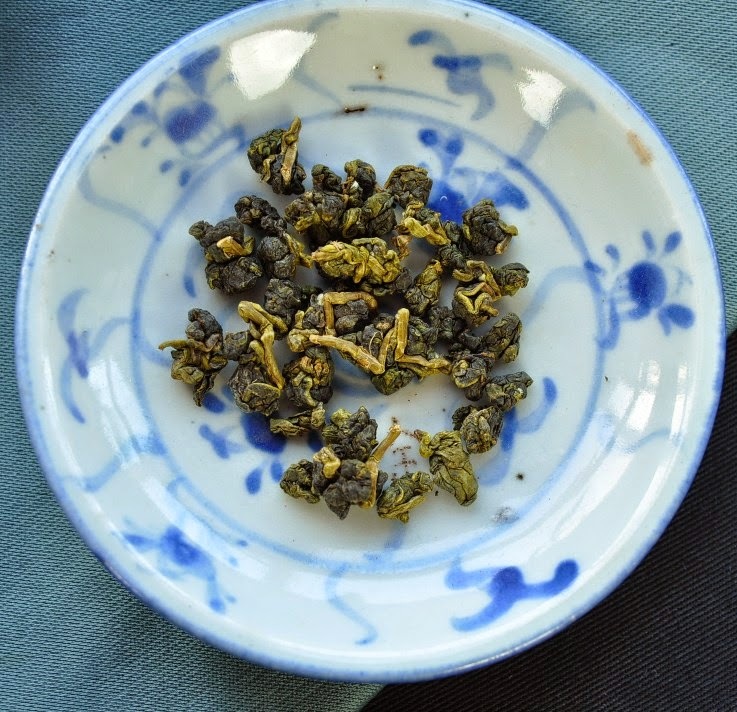 The dry leaves are particularly big and they don't seem as tightly rolled as Qingxin Oolong from Alishan. 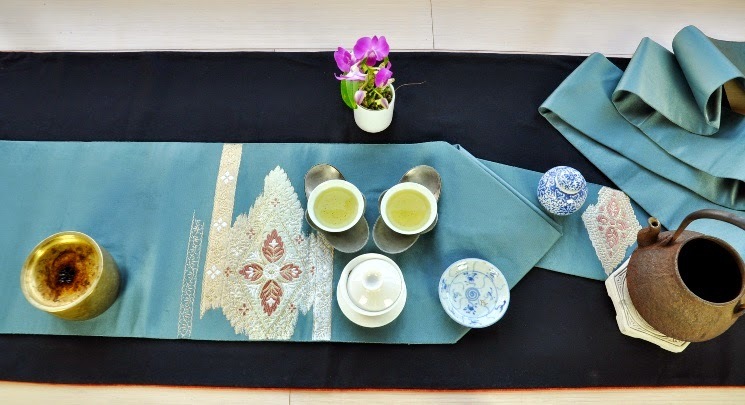 In terms of scents, the fragrances are not as flashy and exuberant as a 'nuclear green' Anxi Tie Guan Yin. Here, the scents are similar, but mellowed down and more refined. What dominates is a very sweet freshness. The brew has a very good transparency and clarity. I have made a long first infusion to test the taste of this tea. Despite being strong, the brew feels light and sweet at first. Then I realize how coated my palate feels. 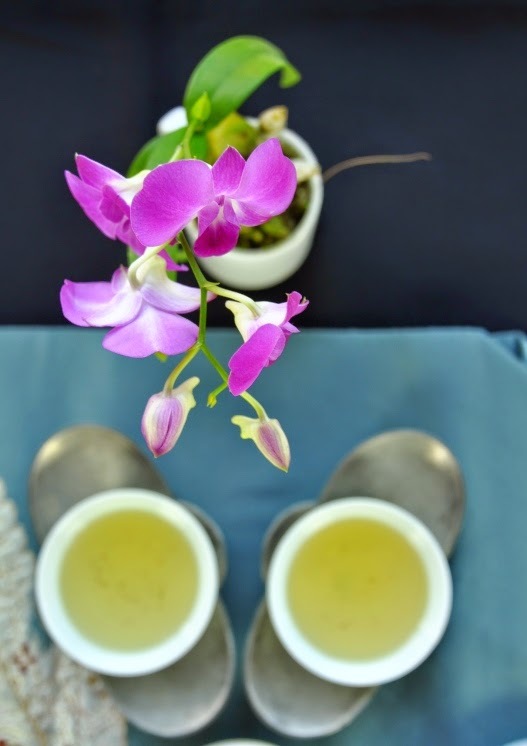 The taste of this high mountain TGY is much thicker and more concentrated than a Qingxin Oolong. 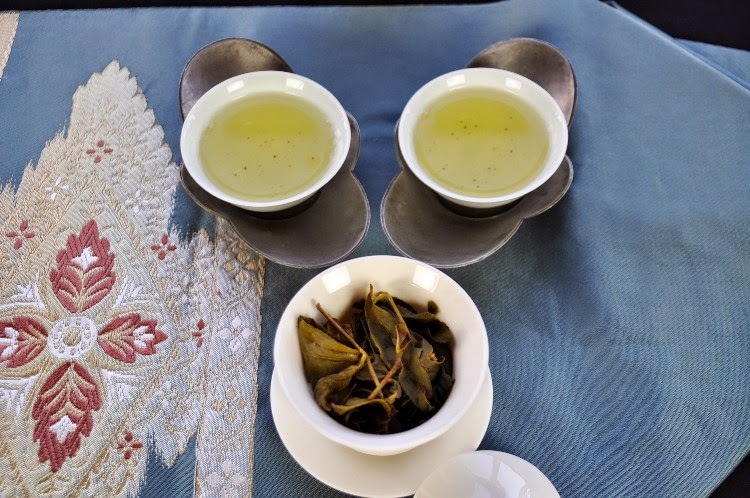 The freshness, power and sweetness of Alishan is still there, but the TGY gives it a richer feel with an incredibly long and pleasant aftertaste. The open leaves have the typical TGY scent. They are big, thick and have long buds. This is top quality material! This is a very interesting, tasty and successful innovation. It combines the qualities of Alishan's High Mountain terroir with the characteristics of the TGY cultivar. And it turns out that this combination is perfect to obtain a very thick, sweet and harmonious aftertaste. 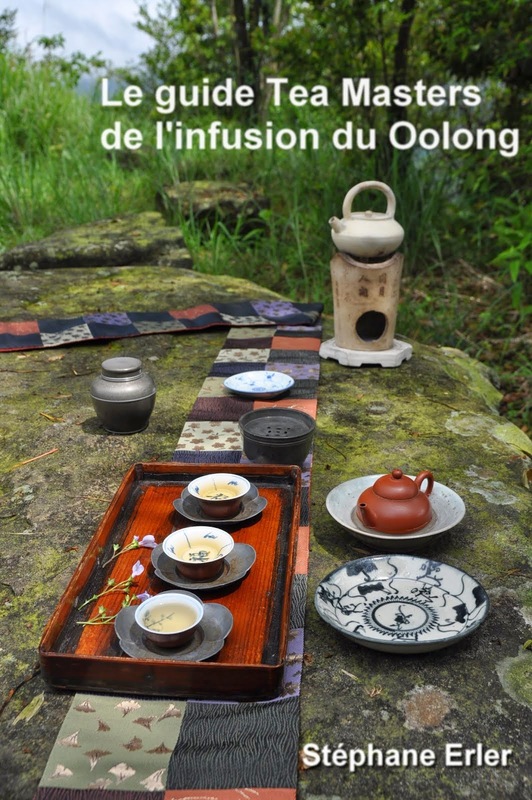 The fact that it's a new plantation also helps to explain the particular richness of this uncommon Gao Shan Cha. And the winter harvest increases its sweetness while taming its fragrances. This makes it very different from a Mainland Chinese TGY. Elegant like an orchid! It's now available in my tea boutique.